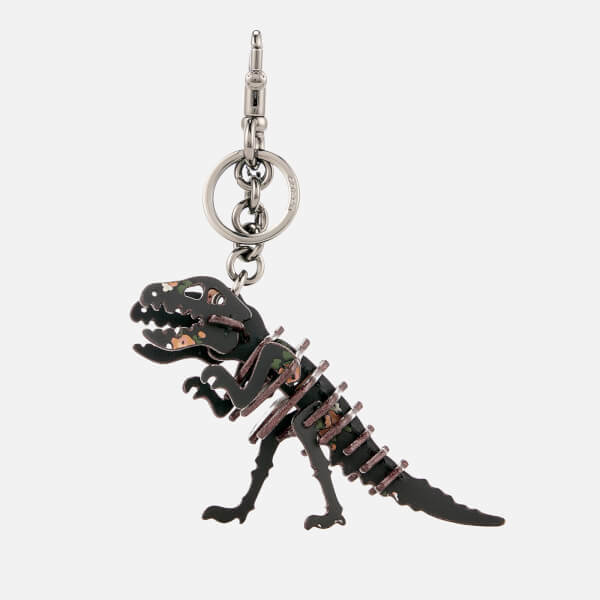 ‘Small Printed Rexy’ leather bag charm from Coach. 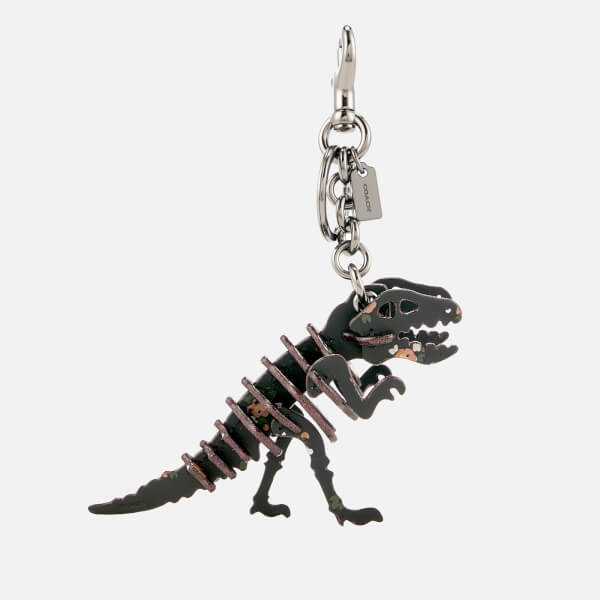 Crafted from interlocking pieces of smooth, glovetanned leather in black and floral-print, the T-Rex skeleton can be attached to items with either of its gunmetal-tone keyring or dog leash clip attachments. 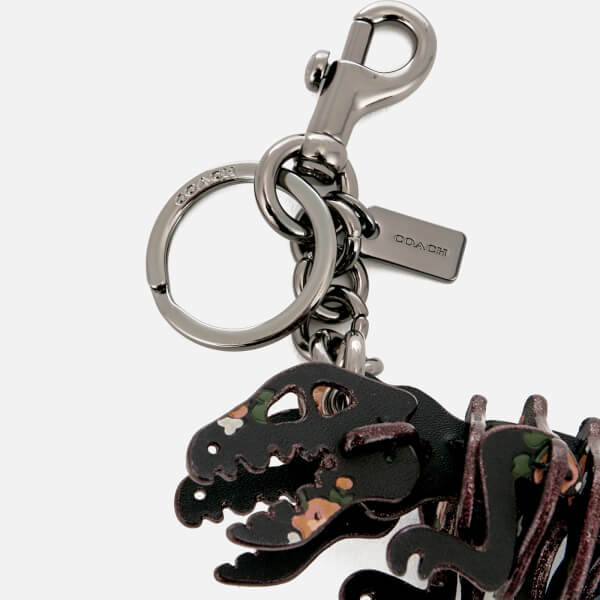 Embossed branding to the tail completes the design.